Wrinkles are a natural byproduct of aging, made worse by factors such as sun exposure. Just because they’re natural, however, doesn’t mean they can’t be minimized.  Our Certified Laser Technician and Licensed Aesthetician is pleased to bring minimally invasive treatment for wrinkles to people seeking a more youthful appearance in Bryn Mawr, Pennsylvania at Suite 200 Med Spa. What role does collagen play in aging skin? Collagen is a protein in the body that helps hold your tissues including your skin together, adding structure and firmness. During the aging process collagen production slows down, which causes the skin to lose its firmness and laxity. This leads to a more noticeable appearance of fine lines around your smile, eyes, and other facial areas. How can I restore collagen? A variety of lifestyle factors can help keep collagen in stronger supply including not smoking, eating a healthy diet and staying well-hydrated. Facial massage may also help stimulate collagen production. s. Our Licensed Aesthetician uses the Pellevé® system to effectively improve collagen levels. Pellevé is a non-invasive treatment that uses radiofrequency technology to minimize signs of skin aging. It applies heat which reaches deep layers of the skin, stimulating collagen production. Pellevé can be used to treat your entire face or targeted areas such as the forehead, crow’s feet, or fine lines surrounding your mouth. The number of treatments you’ll need varies, but a series tends to provide best results. In general 3-5 treatments are recommended spaced about 4 weeks apart. Our Licensed Aesthetician works with you to develop a plan catered to your needs and preferences. Pellevé is a safe, non-invasive procedure that takes about 45-60 minutes per session for the full face or as little as 30 minutes for a specific area. You won’t likely feel any pain or discomfort. Because of the heat involved some patients compare the sensation to a hot stone massage. No downtime is required, meaning you can return to your usual daily activities immediately after. Because Pellevé helps your body naturally produce collagen, results continue to appear gradually even 90 days after your treatment.